Pho Thien Featured In Naperville Magazine November Issue! 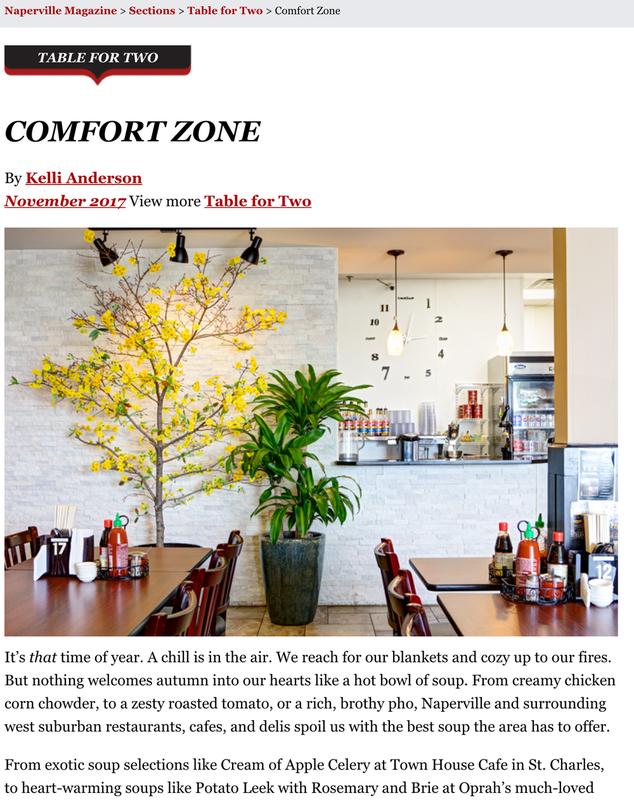 Thank you to Kelli Anderson and Naperville Magazine for featuring our restaurant in the Naperville Magazine November Issue. The "Table for Two" section was about local soups in the area. Out of three local restaurants featured in the article Pho Thien was the first restaurant mentioned and the only one to have a picture. We are so blessed! Pho Thien Featured in Chicago Tribune and Naperville Sun!